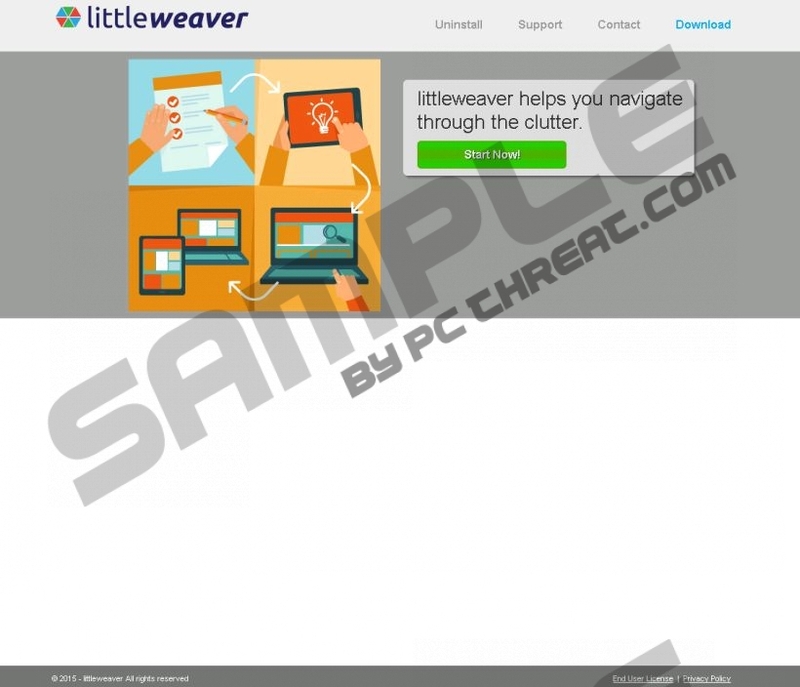 LightWeaver represents itself as a useful browser extension; however, we recommend that you have to remove it, because it functions as an adware application. LightWeaver has been developed by SuperWeb LLC. This company is a known adware developer, responsible for such applications as Brass Search, Neon Great, and Zoomcheck. At the time of writing, LightWeaver only works on Internet Explorer and Mozilla Firefox web browsers, because the newest version of Google Chrome blocks it. If one of the most popular Internet browsers in the world considers it to be threatening, there is no reason why IE and Firefox users shouldn’t remove it from their systems. Lightweaver might be installed on your operating system together with several other programs when installing freeware. This software distribution method is called freeware bundling. It relies on lack of attention users pay while going through the software installation setups. After you complete the bundle installation, you might find several useless programs to remove. If you do not refuse to install these applications, they could hog your system’s resources, display loads of commercial advertisements on your web browser, or mess with its settings by changing your default search engine and homepage. Some programs found in bundles could be much more dangerous than that. To avoid undesirable software altogether, you need to pay attention during the setup. If some annoying application somehow got onto your computer, delete it. If you do not know whether a program should be removed or there are several of them on your PC, and you do not know how to get rid of them all, you should download an antimalware tool. Run a full system scan and let the program remove the suspicious applications. The LightWeaver browser extension keeps track of your web history to figure out your interests and needs. While it does not track personally identifiable information, you should, nevertheless, remove this adware from your PC before it is too late and it starts to annoy you with ads. LightWeaver shows you pop-ups, banners, and other commercial advertisements, which were selected to interest you enough to click on them. If you click on these ads, they will redirect you to third-party websites. Some of them could be dangerous, and the only way to remove these advertisements from your browser window is to delete LightWeaver. There are two ways to remove LightWeaver. It could be done with the help of our manual removal instructions or with a professional antimalware program. We recommend the latter option, i.e., automated removal. By using this method, you can find and delete multiple infections at once, while manual removal only serves to delete threats one at a time. Select LightWeaver and delete it by clicking Remove. Select LightWeaver and Uninstall it. Delete this adware by clicking Uninstall. Quick & tested solution for LittleWeaver removal.